When we talk about the beginnings of online community, we often discuss The WELL, which launched in 1985. It’s easy to forget that some people, like our guest on this episode, were building digital communities well before that. 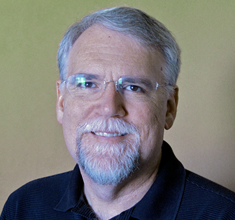 Randy Farmer has built online social systems almost continuously since high school in the 1970s, ultimately working at companies such as Lucasfilm Games, 3DO, Electronic Arts and Yahoo! He co-founded several startups, where he helped pioneer foundational technologies including avatars, virtual currencies, the JSON protocol, web apps, newsfeeds, futures and promises, amongst many others. Randy’s most recent was Suddenly Social, which made real-time multi-user mobile games, who’s server tech was ultimately open sourced as Elko II. He is co-author of “Building Web Reputation Systems” (O’Reilly Media). 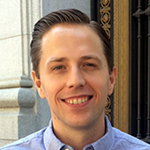 He presently calls himself a social media product strategy consultant, advising dozens of companies on how to design and operate social-powered applications, from websites to mobile apps to games. As a side project, Randy leads a ragtag team on the Neohabitat project, bringing back the first MMO/virtual world, Lucasfilm’s Habitat, after 30 years, as 100% open source. This is an incomplete list of related links from this episode. Once we have finished our transcript, this list will be updated. 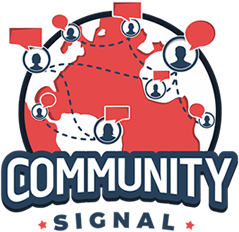 [00:00:04] Announcer: You are listening to Community Signal, the podcast for online community professionals. Tweet as you listen using #communitysignal. Here’s your host, Patrick O’Keefe. [00:00:20] Patrick O’Keefe: Hello and thank you for listening to Community Signal. This week, our guest is Randy Farmer who has been building digital community since the 1970s and co-created 1985’s Habitat, regarded as first graphical virtual world. There’s a lot of online community history in today’s episode, spanning from the 1970s to the present day. If you enjoy our show, please consider becoming a supporter on Patreon where you can receive exclusive perks and benefits. Thank you to Joseph Ranallo, Carol Benovic-Bradley, and Serena Snoad for being among our backers. Find out more at communitysignal.com/innercircle. Randy Farmer has built online social systems almost continually since high school in the 1970s, ultimately working at companies such as Lucasfilm Games, 3DO, Electronic Arts, and Yahoo!. Randy, welcome to the program. [00:01:05] Randy Farmer: It’s an honor to be here. [00:01:06] Patrick O’Keefe: It’s an honor to have you. I didn’t hit record the first time, but I’m going to say it again. The work you’ve done in this space, the contributions that you’ve made, online communities you’ve helped build, the publications I’ve read that you’ve written or co-written, just so much great stuff and so it’s really a pleasure to have you and I appreciate you taking the time to speak with us today. [00:01:24] Randy Farmer: I’m happy to speak with anyone who’ll listen. [00:01:28] Patrick O’Keefe: [laughs] That’s definitely us. As a participant, and not necessarily someone who’s facilitating the community, but it might be one and the same. As a participant, what do you consider to be your first virtual community? [00:01:38] Randy Farmer: That’s easy. Probably one of the earliest ones. I created an online community of high schools in the 1970s. This was when terminals were connected to computers using modems where you took the phone and you put it into a cradle and you dialed a number. It communicated at ten characters or thirty characters per second to really noisy chunky devices, some of which you see in old movies. I built two things that were interesting in terms of community; a BBS, or what we now call a Bulletin Board System, and a real-time messaging system. You could press the break key, you could actually send a live chat message. It looks the most like Facebook Messenger actually. I built that in 1975 and ’76. Then, I also built a multi-player Star Trek game, we now call, for lack of a better name, a text-only 3D shooter, where people could be a Federation captain or a Klingon captain or a Romulan captain and command a virtual ship through a command line, telling your ship what to do or put up shields to walk from place to place. That’s where I really learned about community. That Bulletin Board System I created was a wonderful background for between game communications. Although we spoke about other things, that’s specifically learning how to program, because we were in high school, we also spent a lot of time planning when we would play and strategies. [00:02:57] Patrick O’Keefe: Was that connecting between your high school and other high schools? [00:03:00] Randy Farmer: Yes. It’s kind of funny. I’m an interesting kind of person, I think, in the form that I adopt other people’s ideas, get excited about them and help make them happen. I like to call myself the invisible catalyst. A friend of mine, who happens to be unfortunately dying of cancer right now, had this idea to play player-versus-player, one player versus another player, a Star Trek, a Klingon, and a Federation player. He was very frustrated by the challenges he was facing trying to get it to work. Client-server technologies we think of today didn’t exist, yet. Certainly not for high school kids and not on a technology you connected to, which was HP2000 computers. He believed me, and we somehow made it work. It eventually won a second place award in the school district and we launched both of our personal computing careers at a local school district. We took second place because first place was an election simulator and it was about schools after all. When we finally got jobs there, working with the people who were judging it, they all said ours was far and away superior and more complex and more interesting application, but there was no way it could win first. That launched both of our careers and I dedicated my entire life, my entire career, to improving the human condition using computers as a mediating device. [00:04:57] Patrick O’Keefe: Did you say you told a lie? [00:04:58] Randy Farmer: Yes, I told lie. [00:04:59] Patrick O’Keefe: What was the lie? [laughs] I may have missed it. Now, of course, if you’ve seen the movie, you realize there’s a punch line immediately afterwards, in which she goes, “Later on, I realized she had a thick accent. She was saying germs. You’ll catch their germs. But how was I to know when I got close to you, I would catch your dreams, Tucker?” I had that used for me –– that I often get involved in these projects and my passion is infectious. [00:05:56] Patrick O’Keefe: When we talk about the history of online community, The Well comes up a lot. Who else do you think should be in and around that conversation? [00:06:05] Randy Farmer: Are you talking about earliest days? [00:06:07] Patrick O’Keefe: Yes, early days of online community. The Well comes up a lot. I had Jenna Woodul on, who was the first Chief Community Officer. She talked about what Apple was doing in the ’80s with resellers and what became AppleLink and what became AOL. I’m just curious, is there anyone else you feel should be in those early days conversation of what digital community looked like? [00:06:26] Randy Farmer: The only concern I have is if we leave out communities that are not US-centric. A colleague of mine, Richard Bartle, designed something called MUD One and MUD Two, the first multi-user dungeons. MUD stands for Multi-User Dungeon, where people connected in real-time and had a text-based experience playing a multi-player role-playing game. He was doing that at the same time when I first worked on SBB and then later on, we’ll work on Habitat. We didn’t know each other existed because this is before Internet messaging between arbitrary groups of arbitrary people. There were a lot of people inventing things at the same time. There’s a zeitgeist. He likes to say, “We both invented multi-user gaming, along with dozens of other people simultaneously.” When having a conversation about the history, if you don’t include people like Richard Bartle, you miss an entire sector. There was a lot going on in Australia and a lot of other places. I don’t even know what was going on in the East, but I did run into it later. [00:07:24] Patrick O’Keefe: It’s interesting. It does tend to be a rather US-centric discussion. That’s interesting. Here’s a follow-up to that; where do you think Habitat fits into that story? It came into play around the same time and it’s obviously recognized as the first graphical virtual world. But again, I talked to Scott Moore, your co-host on the Social Media Clarity podcast, and I know a good friend of yours, a friend of mine as well, and he was talking about how important Habitat was, the importance of it in the space. It’s not a conversation that I see come up as much and when I read about it, I thought it was really fascinating. [00:08:00] Randy Farmer: Not only is it the first virtual world, it had combat, so it was the first graphical MUD. It was the first graphical MMO. Keep in mind, massive then was anything greater than twelve people. We had hundreds of people on and that was impressive and that was a big load and that’s part of the story. Yes, it played a key role because it broke some boundaries. It did some things that were impossible. We ran a real-time render, it’s basically a 3D render with 2D objects on a Commodore 64 running at one megahertz with a 300 bot connection modem and a 600 bot connection disc drive. It was doing virtual object caching and splitting of instances between server and client. The number of things it pioneered is pretty mind-blowing. The good news is that’s pretty well-documented. I don’t have to sing all the horns myself. I can tell you if circumstances hadn’t been right, that the company Quantum Link, which later would become AOL, was looking for a killer app. They were looking for a killer game that George Lucas had made these movies called Star Wars and they changed everything. Chip and I, and the whole team working at Lucas Home Games, were willing to take on any challenge, no matter how impossible. I don’t think people remember, Habitat is later than the first real-time fractal shooters, which were Rescue on Fractalus and the game I would work on as a contractor to try to get my way into Lucas Home Games, Koronis Rift. So, we have real-time first-person shooters with fractally-generated terrain running, in my case, on Apple Two. You need this interesting intersection of a lot of energy around Lucas Home, has a reputation for doing anything, hiring people to put serious computer science into tiny machines. You also need people wanting to change the future. A lot of people don’t realize one of the people who was really behind this was VP of Marketing Steve Case, who would go on to lead AOL, then everything else. [00:10:05] Patrick O’Keefe: [laughs] Yes. He gave the commencement at my brother’s graduation at UNC Chapel Hill a few years back. It’s interesting because it underscores a fact that gaming has always been at the forefront of community, no matter what timeframe you talk about. I started managing communities and moderating in the late ’90s and started being a user in the mid-’90s. Even then we talk about online forums and gaming forums were and are some of the most popular uses of community. Even back then going back to your community around the text-based 3D shooter. [00:10:44] Randy Farmer: Name of that project was SPB. [00:10:46] Patrick O’Keefe: SPB. What does that stand for? [00:10:48] Randy Farmer: My colleague was Yugoslavian and he thought it stood for space battle. It’s an odd acronym, but it stuck and that thing has been imported, I don’t know how many times. I like where you’re going to go with that, which is the community built around it. We once considered actually trying to commercialize the idea with the graphical interface of course. Two decades before white simulator based businesses would come out, we were talking about how to do Star Trek simulators. It was much too early, but we had seen this one event that was really important. Like I said, it wasn’t just the first-person shooter, it wasn’t just SPB, it was SPB comm, it was the chat program that went along with it that made it work. In fact, the one lesson I learned from SPB more than anything else, I learned a lot of lessons, but the most important command was not photon torpedoes, it was not shields, it was not even cloaking if you were Romulan, it was sending a message to someone else, the communicate command. You’d be flying through space in real time waiting to encounter other people. You’d have a lot of dead time, so you would do things like taunt. The best thing to send to Klingons is “Klingons fart in airlocks,” it was a joke in the ’70s. Or it was a three-sided fight so you would always make these temporary alliances, where you would want to send messages coordinating attacks to your enemies. “Let’s go wipe the third guy. Let’s Fred and Kling team up and wipe out the Romulan and then they will just duke it out. Meanwhile, your ships are sneaking around to position the minute Romulans are eliminated so that you can move quickly to finish. In fact, it was a command. The Klingons needed a command because they had to have an equal number of things in the thing. I had put in the jammer and that would scramble all the messages. This turned out to be terrible game design. It seemed great because you could jam all communications. It also meant that the dead part of the game became really dead and people wanted to communicate externally, so guess what they did? They logged in on another terminal if they could and they started using the external communications tools to talk to each other. I was like, “No, this is a mistake.” And then what would happen after the game, we’d all pile on to be SPB comm and debrief versus experience setting up a game, playing a game and debriefing from a game. We see the same thing in boardgames and all kinds of activities where people are going to do something that has a conclusion, it has an output. You get prepared, do the thing, and then you talk about the thing. This pattern has been the basis of my career, in understanding how humans interact socially and how computers can facilitate it. [00:13:19] Patrick O’Keefe: Speaking of community and connections, has the Neohabitat project brought together any of the people that you’ve worked with throughout your career from Lucasfilm and Habitat to Worlds Away and communities.com? [00:13:32] Randy Farmer: Let me explain what Neohabitat is first for your listeners. The Neohabitat project came about as a result of a big fan of Habitat, is the founder of the Museum of Art and Digital Entertainment, Alex Handy. It’s here in Oakland. I recently moved to Oakland and learned about the project as a surprise. It was a surprise that someone was looking to open-source Habitat, and I’m going, “How are you going to do that?” Turns out he was well underway, he had met with some people who Lucasfilm Games who did a debrief at GDC. They made some suggestions about where he might go to try to get the intellectual property rights to open-source them and that would be Fujitsu who bought the rights from Lucasfilm to build a sequel called Worlds Away or Fujitsu Habitat 2. Right after I moved into Oakland three years ago, they had a hack day and Chip Morningstar, the original server programmer, and I’m the original client programmer and the original Oracle, the person who ran the world, was responsible for the social part as well as a big chunk of the technical part. Two years past, we’re unable to secure a license to the AOL code, for reasons I don’t know. They kept saying they were going to give it to us but we never got it. I get a break in my consulting, the beginning of this year, 2017. I’ve had enough waiting because over the 30 years since we developed Habitat, 30 plus years, Chip and I have been forming companies doing multiplayer and multi-user servers, whether they were for business or for game. The last company we did was a multi-user mobile gaming company. Every time Chip rewrote the server, it was based on the Habitat object model. Turns out it’s really good. Scales like a bat out of hell. It’s now in Java. That company ends. Chip open sources it. Once that’s finally done, I’ve had it. Beginning of the year, I say to Alex, “I’m going to port the PL1 source code from this server for the gamer on top of the open source server, which is called ELKO, E-L-K-O, and bring Habitat back up.” On June 2nd, we did. You can play the original Lucasfilm’s Habitat with a server that’s written in Java instead of PL1. But that’s true of the original. It’s all open-source. That’s the great thing about it. You can right now go there, go to Github, download it, compile it, run your own server, compile your own client if you want to do that. It runs on an emulator called Vice, which was a big piece of why we could do this because we didn’t have to draw it directly under Commodore 64. But, it also runs on native Commodore 64s, if you have one. We’re very excited to restore this piece of history to its fully functional state. Right now, for Macintosh, for Windows, it’s literally a download and double-click to get it. [00:16:33] Patrick O’Keefe: Has working on Neohabitat brought a bunch of people back together that have worked on Habitat in it’s various kind of forms over the years? [00:16:41] Randy Farmer: The Neohabitat team is something that I’m particularly happy about. I understand this is kind of unusual for a lot of open-source projects. I announced it in a couple of places and said, “We’re getting it back together.” Chip provided some support. He was basically the ELCO engineer. If I needed something in the open sources platform fixed he could fix it. I led the project. I did the bulk of the initial object translation. I also opened a Slack and recruited people in. What I was so excited by was a couple of important people showed up right away and one was Keith Elkin, who was one of the archivists, one of the people who kept the history of Habitat alive by photos and video. He had taken literally videotape by pointing at his Commodore 64 screen, thirty-something years ago. [00:17:28] Patrick O’Keefe: There was no screen caps. [00:17:29] Randy Farmer: Yes, original screen caps are complete with warped tape and everything and he’s been keeping along the way. He has a record of the regions of the beta tester with Lucasfilm Habitat, or at least most of them. When we go through the source archive and we find the source for those regions, we know where they go and how they go together. In terms of who else showed up, that was the delightful surprise. The first wave of other people that showed up were people who were fans of the next generation of Habitat. A product called Worlds Away that ran on Copy Serve, was financed by Fujitsu, as I mentioned before, who bought the rights to Lucas Homes’ Habitat so that they could make Worlds Away. This means Neohabitat was able to made by asking Fujitsu for his license. This all folds together. People who were too young to play Habitat before it shut down in 1994, play in the late 90’s in Worlds Away or even later through various worlds that were spun off of it. They came. They are now in effect in control of the Neohabitat project, I’m not spending much time on it. But it’s the Worlds Away fans who really care about its origins who have played a huge role. There’s another group, not to leave them out, is the Commodore 64 aficionados. I think it’s not bragging too much to say that Lucas Homes’ Habitat was the most complex Commodore 64 code ever written. It’s lovely to be able to actually run it on the original machinery in the original configurations. [00:18:56] Patrick O’Keefe: I’m looking forward to playing around with it myself. I read an article recently about someone who brought a BDS online and you could access it through the browser. I was like, “Hey. That’s cool.” I spent some time in there. Knowing what they are, having read about them, thought about them, et cetera, just to be able to go in there and play for a little while. I’m not saying everybody wants to do that. It works in community. I’m not saying everyone is kind of a student of history. But for me, it was fun to do. [00:19:22] Randy Farmer: One of the things that’s interesting and I think one of the reasons some of the Worlds Away people showed up, is to see the origins of the things they love and how things had changed. We’ve done one thing. My original goal was to have Neohabitat be exactly the same as Habitat as much as possible. It became clear that some of the improvements we would later put in Worlds Away, a second system of Habitat, needed to be in the original one to be useful. Those are actually in on a switch. There’s actually a little indicator in front of any word balloons that are a feature that is new from the original design. Some of these are really simple like telling you whether or not there’s someone else online when you log in. That was not in the original. Telling you, if you’re a ghost, how to turn into an avatar. You really need to know how to do that. [laughs] There’s a certain, specific things related to helping the user which are really necessary. But there’s a switch at any point, you can just type “/neohabitat” and it will go back into the original mode and you can see how much it’s changed, and how much we’ve learned. [00:20:56] Randy Farmer: First, I will refer you to Alex Handy himself if you want the whole story. But I’ll tell you what I’ve heard, is it took a better part of a year from getting the contact for him to actually get the rights. He had an advantage. He runs a museum. He wants to put an exhibit up in the museum as a tribute to the first MMO or the first virtual world. It’s hard to say no to that if all you have to do is say yes. He had to carefully craft the message so that it would not look like he was trying to make money from it. That’s what I know. [00:21:30] Patrick O’Keefe: That makes sense. In that case, it’s good to work at a museum. It’s good to be the curator of a museum. Switching gears a little bit. Your LinkedIn profile mentions that during your time at Yahoo, you were instrumental and a strong voice in Yahoo’s acquisition of Flickr. I read that and I was thinking about the Yahoo-Flickr deal. At the time, it was 12 years ago just about, and I went back and looked. Yahoo had bought Flickr when it was barely a year old for twenty-something million. When I think about that, when you think about what Flickr was, what it could’ve been, what it is even, and other web company acquisitions that occurred afterward, no matter how you spin that, it was a great deal. I’d love to hear, I don’t know, your side of that, those conversations where you had a voice in Yahoo’s acquisition of Flickr and what those were like. [00:22:17] Randy Farmer: There’s two sets to talk about, right? One was the conversation with Flickr itself. Now, you need to know what the context is. This is a context most people don’t know about. It seems I work on a lot of firsts that people don’t know much about. One of those set of firsts is in a product called the Yahoo 360 which, like Habitat, had a lot of firsts in it no one knows that we were there first. For example the news feed, it had a mechanism which would later be implemented by Google as Circles, which is a permission system based on personalized groups. It had real two-way communications. It had a bunch of things that would become critical components in systems like Facebook. It looked innovative because it was. At the time I was working on that, was when we were talking to Flickr. Flickr was worried that was Yahoo going to be cool enough. I was one of a wave of specific people who were considered innovators in social, who were working for Yahoo at the time. We all went and saw them and talked to them about what was happening. I was so excited about Flickr being integrated, we were saying then as Yahoo 360, so that there was this real strong social connection between photos and people. To understand Slack, you have to understand what Flickr was originally before it was just a photo-sharing site. It was a chat site with photo sharing. Before it was that, it was a game. It went to this evolution which came from games through social, to what we knew as Flickr. By the way, they would take that game idea and do it again as another company, Stewart [Butterfield] would. Finally, Stewart would strip out the game and say, “You know what? We just didn’t do the social part, we should just do the fully connected social” and that’s Slack. If you look at the history of going through that stuff, you can see that just like everyone else, we are repeating these ideas and refining them and figuring out where the gold is along this chain of nuggets. They were very interested in the stuff we were starting to do with video and a bunch of other things. They were amenable to being a part. It was a nice chunk of change for them at the time. It’s hard to talk about price valuations because there’s another story I’m involved in. Reid Hoffman, who you may know as the head of LinkedIn. At the time, I have a very low number profile of LinkedIn because I was plugged in with all the social innovators. We would eat breakfast in the morning during the 360 days and the Flickr deal. He was the adviser on Flickr, so he knew about the deal. We’re talking, and it looked like things were going really cool there. For Yahoo it’s 2006, 2007. Wherever the Flickr deal is. He offered to sell, he told me he was tired and not sure he wanted to do it anymore. He was willing to sell LinkedIn to Yahoo for $10 million. I went back to Yahoo and I called Yahoo HotJobs and go, “Oh my God, you guys got to talk to Reid Hoffman”. This guy, he’s great. He took over for me at Worlds Away. That’s how I knew him; he replaced me when I left Worlds Away. This guy is great, he’s done this dating site after Worlds Away. Now, he’s doing this job site. There’s clearly a graph of people connected through career. As HotJobs is winding down and it’s time for a new kind of job site, a socially based one is great and you can get it for some, for 10 million. I literally got blown off by the acquisitions guy over in HotJobs. He said, “Who are you and why are you bringing this deal to me?” I said, “I’m the one with the thing that can get you to save HotJobs. You want to ignore me, you can”. [00:25:44] Randy Farmer: Unfortunately, I failed. I did not fail in convincing the CEO to buy Flickr, but I did fail in convincing HotJobs to even float the idea of buying LinkedIn. Years later, he would thank me by putting some money in my last company. [00:25:59] Randy Farmer: Literally three days before his IPO announcement, he takes a meeting with me and he says, “Thank you for blowing that deal.” [laughs] They were about to go IPO. [00:26:14] Randy Farmer: Yes, I don’t know what would’ve happened and I certainly don’t know the exact acquisition price. I do know that Yahoo would piss off Flickr by paying twice as much for a company that did one-tenth the amount of stuff. I won’t talk about the details because that implicates people. There was a period in which Yahoo was interesting enough that they were buying interesting things because people thought they were going to do something. Several of those people have had their IP weaponized by Yahoo. That’s not my words. They could go to www.waxy.org and type in Yahoo weaponized my patents, you’ll find out who I’m talking about. They brought us in, they were all innovatives. They said, “Let’s patent this stuff defensively”. We all went, “Great. Defensively, great.” Then, briefly, Yahoo went insane and tried suing Facebook and everyone. That ended very poorly for them. [00:26:57] Patrick O’Keefe: If you were writing and building web reputation systems in 2017, what would you focus on? [00:27:04] Randy Farmer: If I’m going to write a book about reputation systems now, I want my other book to be in place, which is a Product Manager’s Primer in Understanding Reputation. What it can and can’t do and how to use it reasonably. I’m much more interested now in how we can use reputation systems to save the insanity that social has become on the internet. I said earlier that it was my career goal. I literally at 17 told my dad I wanted to grow up to be the grand old man at telecommunications, that was the phrase I used. [00:27:35] Randy Farmer: What I meant by it was is I wanted to be a pioneer in social systems using computers to help people better understand each other, avoid war, all the good things that we think of, we think of online community. I wanted those to work. To a large part, in small communities, what we used to call forums and other things, it works pretty well around single subjects. Now, we have the Twitters and the Facebooks and the Snapchats and a very long list. We have some real problems between phrases like echo chamber and false news. We talk about trolling and trolls. I don’t think trolls are a person-type, I think trolling is something we all do when we have a very, very bad day and are very disagreeing with other people, that we haven’t put mechanisms in place. I believe reputation systems have a key role to play in helping improve discourse between people. I don’t mean just cleaning it up and making it nice. I mean actually helping us have reasonable discussions that produce some output even if it ends up being multi-sided. What’s really frustrating is how modern communications is fused with old ideas. We don’t have to be this way where people are talking a lot about having two-sided arguments, there’s only two sides to an argument. Most of us have known for a long time there’s not only two sides for an argument, things are very nuanced. But headlines don’t work that way. Clickbait has redefined how humans communicate and I don’t like that. I’m very frustrated, I don’t have any traction in this regard. If I didn’t have a traction, I would write a book. [00:29:06] Patrick O’Keefe: You mentioned something that when I read the pre-show questionnaire and you mentioned this topic, I thought about the thought that in smaller communities, we do have several conversations, we have great discourse. On the communities I manage, we have great discourse. But when you go to a certain level of scale in community, the top –– I don’t know what percent, 0.5 maybe the people who get 10,000 posts a day, 100,000 posts a day, a million posts. When you get to a certain level of scale and certainly when you get, whether you consider it them a community or not, Twitter, Facebook, etc., communications platforms or whatever. I was looking at a Starbucks video yesterday. They had sponsored it, it was a sponsored Starbucks video. It was a commercial, thirty seconds, with their baristas asking questions to other baristas who had served in the Armed Forces, and asking them questions about that work. It was about them hiring because they have this, for years, this commitment to hiring veterans. The comments were full of probably the type of people that Starbucks hoped to reach who had read a story somewhere online about Starbucks, take your pick, not sending coffee to the Middle East at wartime, refusing– (like any company would be able to send coffee, [laughs] right?) to the military members, or to starting to hire “illegals, “their words, not mine. There’s this constant feeding frenzy where people, I don’t know. I almost feel like some of them don’t want to know, or don’t want to have great discourse, but there are people who do. When you look at a platform like Twitter, and you think about reputation, I love to hear your thoughts on what you can do, can’t do, you talked about with reputation. I mean, it made me think, I don’t know if this is what you consider reputation, of their use of verified badges on Twitter for one thing, and how they are verifying people and conveying this sense of authority to people who propagate objectively false stories. That may not be the finest reputation, I don’t know how you view that. But, what should those platforms do? We’re not taking traction. What would you like to see experimented with at least? [00:31:07] Randy Farmer: Well, so, not to dodge, but context is everything. One of the reasons I think Twitter specifically has so many problems is it had no single context. It has infinite contexts. It becomes difficult to even use the same words, the same way. People are broadcasting, acting as if they’re having conversations, they’re not really having conversations. They’re talking past each other. I don’t know about fixing that. I don’t know if that’s broken or not, but I would like to know if there’s a thing, a filter technology that could help people evaluate the contents that need to be reviewed, and need to be supported, and need to be refuted. I don’t believe there’s a single truth. One of the things that’s interesting is that everytime someone talks about fake news, I can’t get a handle on what fake news actually is. I can’t tell it apart from some of the stuff I see in the mainstream which leaves out important details or tells only one side of some story. It’s like, well, is that fake news? What is news? There was a time in which people believed news was an attempt to communicate the truth with balance. I don’t know if that’s true anymore. I don’t know how we can tell. There are very few projects really trying to work on that. Without being deeply engaged in the context question, I don’t know how to answer the tools question. This is one of the reasons the small communities are so interesting. A message board or a Slack channel for my family has different norms than the Slack for a business, than the Slack channel for my open-source project. These groups all use the same technology in different ways. If my granddaughter misbehaves on Slack, I don’t need Slack to help me. I just need to talk to my granddaughter and teach her how to behave. If someone is on my project and they’re causing trouble, I might block them out because it might be the context. I think the big problems are multifaceted, and we’re just barely cracking an understanding of it. It’s not A versus not A. There’s a lot of stuff. I had this idea, which I will share, which is an idea of a multi-branched wiki or something. A piece of technology where people are presenting an argument which may have multiple sides and each side gets its own facet to talk about. I was inspired partially by Change My Mind Reddit, where they developed some social norms for actually presenting an idea saying I don’t know if I want to believe this idea anymore and change my mind, and actually getting formalized arguments against the idea or in favor of another idea. There’s other work going on that’s just not being looked at as an attempt to solve things as people rush to very specific tools such as ban hammers and other things as an attempt to control the narrative without actually giving any feedback to the people who are speaking. I think that’s the biggest thing that’s missing. In my reputation system design, the stuff that works best is the stuff that tells people what they did wrong and how they can fix it. When I worked on discourse.org, I helped them with their abuse mitigation system. The community clicks flag. When they flag, they have to give a reason, and they can write a little free text to go along. Your content gets hidden by the community and not deleted. This is how you train people to comply with the community standards, to become a part of the community. If you’re banning content and banning people, you’ve created an adversarial environment instead of a mutual environment. These are a bunch of lessons that I will bring to the table if they were a way to work on this. Patrick O’Keefe: Randy, thank you so much for taking the time to speak with us today. I really enjoyed all of the insight and I really think it’s so important to understand, as you put it, the innovations that were made in earlier projects. They may not be the projects that everyone knows these days but so much of what we do is a cycle that happens over and over and over again and I try to tell people that. I really appreciate having someone here who can basically lay that out, so thank you so much. [00:35:36] Randy Farmer: It was my pleasure. [00:35:37] Patrick O’Keefe: We’ve been talking with Randy Farmer, a social media products strategy consultant and co-creator of Habitat, recognized as the first graphical virtual world. To learn more about Randy’s work, visit his LinkedIn profile at linkedin.com/in/frandallfarmer and his Wikipedia page at en.wikipedia.org/wiki/Randy_Farmer. He is the coauthor of Building Web Reputation Systems, buildingreputation.com. You can play Neohabitat, the relaunch of Habitat, at neohabit.org. Finally, Randy is working on Cachepix, a solution for those who would like to download their photos from popular image hosting services when those services go out of business or change their policies. Check out cachepix.com. For the transcript from this episode, plus highlights and links that we mentioned, please visit communitysignal.com. Thank you to Bill Johnson and Scott Moore for their input into this episode. Community Signal is produced by Karn Broad. We’ll be back next week.